Idea Cellular, India’s 3rd largest mobile operator has introduced pocket friendly buffet plans for its postpaid subscribers, across the country. The new plans starting at Rs. 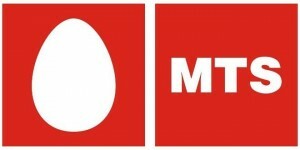 899 are designed keeping in mind the new and evolving mobile consumers who have high voice and data usage. The new postpaid plans will enable Idea subscribers enjoy the services extensively, without worrying about the bills. Idea has introduced three different buffet plans for users to choose from, depending on their volume of usage. Idea postpaid users can opt from a range of plans with exciting discounts and benefits starting at Rs. 899 per month, offering 4,000 Local, STD and 1,000 Roaming Mobile minutes, and 450 Local & National SMS. Ides subscribers with high data usage can opt for Rs. 1,299 plan which offers the same voice benefits along with additional 5 GB of 3G data. 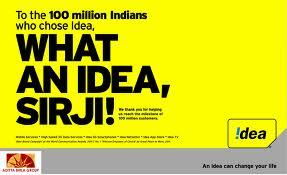 For heavy voice and data users, Idea has introduced a plan priced at Rs. 1,599 wherein user will get 10,000 Local, STD and Roaming Mobile minutes, 1,000 Local & National SMS, along with 8 GB 3G Data. Idea’s buffet plans fulfil all needs with ease – be it local or STD calling, roaming or Data usage – for all category of users. The new plans also offer attractive tariffs for voice calling and national roaming services. Idea buffet plans are available across all circles in India, except Punjab where the plans vary. Next: How to Claim Insurance on Your Mobile Phones in India?